How does the new Desire S stack up to its rivals? 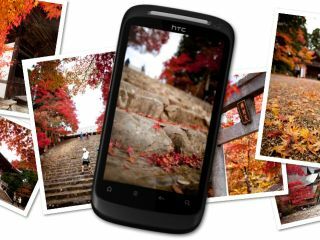 In many ways, the HTC Desire has been the poster-boy for Android. It still sits at the top of our 20 best mobile phones list, even above HTC's own Desire HD, Google Nexus S and Apple's iPhone 4. But its replacement is now here - the HTC Desire S. So how does it stack up against the key rivals? Here we've pitched the key specs of the new second-generation Desire against its key smartphone rivals. Apple's iPhone 4 is a must-include, as is the Samsung-made Google Nexus S and new Samsung Galaxy S2 (Samsung Galaxy S II). The Samsung Galaxy S2 will emerge fairly imminently, so we'll be sure to bring you a full review on TechRadar as soon as we can. Now, let's see how the Desire S gets on. All the phones are Android handsets - aside from the iOS-toting iPhone 4. Like the Google Nexus S and Samsung Galaxy S2, the Desire S runs Android 2.3 Gingerbread out of the box. The Desire S features the 1GHz Qualcomm Snapdgragon MSM8255 processor also found in the Desire HD. This is matched in clockspeed by the 1GHz ARM Cortex A8-based chip in the Google Nexus S. The Apple iPhone 4 uses Apple's own A4 chip, which is also based on a 1GHz ARM Cortex A8 core but is underclocked. The Samsung Galaxy S2 uses a chip based on the ARM Cortex-A9 and is the only handset here to be dual-core. EDIT: The Samsung Galaxy S2 is rumoured to be getting a speed bump, with the dual-core A9 chip tio be clocked at 1.2GHz. The HTC Desire S retains the same 3.7-inch 480 x 800 display used in the original Desire. The Galaxy S2 and Nexus S win out here in terms of size, with over 4-inch Super AMOLED screens (the former a new Plus variant) - albeit at the same resolution. Indeed, the S2 display is 4.27-inches wide. The iPhone 4 is the resolution king though - Apple's Retina Display has an impressive 640 x 940 pixels. While iPhone 4 is available in 16GB and 32GB capacities, the Galaxy S2 and Nexus S come with 16GB. The Desire S only has 1.1 GB of onboard storage, although it does come with a micro SD slot - up to 32GB cards can be used. The Galaxy S2 also has a micro SD slot but the Nexus S and iPhone 4 does not. N.B. There is another variant of the Samsung Galaxy S2 that is 32GB. The Desire S has 768MB of internal memory for running programs but this is trumped by the Samsung Galaxy S2 which has 1GB. The iPhone 4 has 568MB on the other hand. The iPhone 4, Desire S and Google Nexus S all have 5MP cameras. Again, the Galaxy S2 trumps this, with 8 megapixels All the phones have front-facing cameras, shoot 720p HD video and feature geotagging and LED flashes with the exception of the Samsung Galaxy S2 which shoots 1080p video. All four handsets are quad-band phones with 3G/HSDPA. You'll also get Wi-Fi (up to 802.11n) and Bluetooth 2.1 whichever you choose with A2DP. The Desire S, Nexus S and Galaxy S2 all have Micro USB connections while the iPhone 4 naturally uses the standard Apple 32-pin dock connector. The Google Nexus S also adds NFC, or Near Field Communication support, meaning it could be used for Oyster or Barclaycard OnePulse-type touch payments - this functionality is rumoured for Phone 5. The Samsung Galaxy S2 has a footprint of 125 x 66mm - larger than the Desire S at 115 x 60 x 11.6mm. The Nexus S has a slightly narrower and thicker 124 x 63mm footprint. Both the HTC and Samsung handsets are bigger than the 115 x 59mm iPhone 4. The Galaxy S2 is the lightest - it weighs in at 119g compared to the 137g iPhone 4, 129g Google Nexus S and 130g Desire S.
The HTC Desire S boasts talk time up to 445 mins and standby up to 455 hours. The iPhone 4 has a talk time up to 420 mins and standby up to 300 hours. The Samsung Galaxy S2 has a talk time up to 540 mins and standby up to 576 hours. The striking thing about these handsets is how similar they all are. Even though the iPhone stands alone in terms of its OS, even if the new Samsung Galaxy S2 is the overall winner in terms of hardware. But there will be a price premium to go with that. As a replacement for the all-conquering Desire, the S is a force to be reckoned with.